Gr. 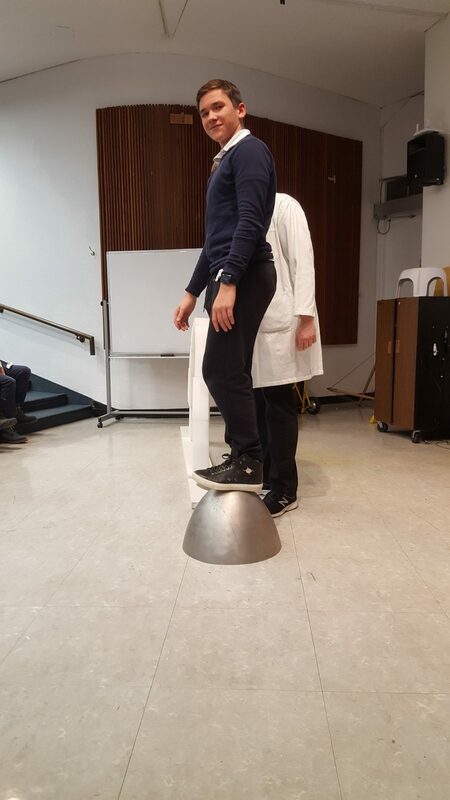 1: Amrit M. and Luisa D.
Gr. 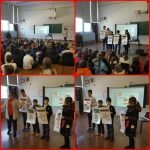 2: Aydin K. and Lali K.
Gr. 3: Safiya M. and Elizabeth S.
Gr. 4: Elizabeth M., Kevin C., and Nicolas J.
February’s character trait is HONESTY. Honesty is “being truthful in what you say and do.” Honesty means more than not lying. Honesty shows that an honest person doesn’t do things that are morally wrong. 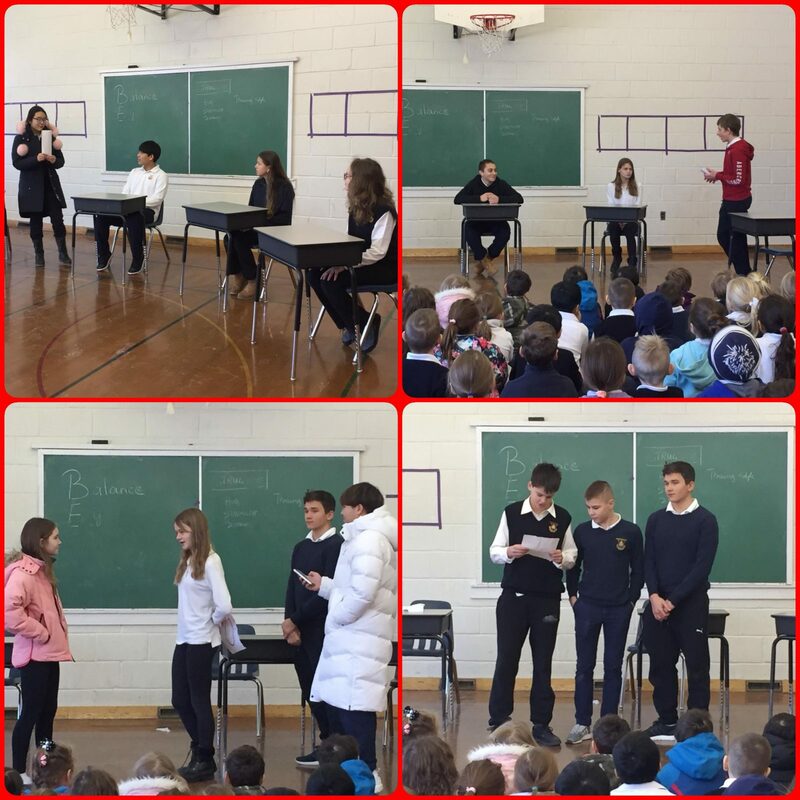 Mrs. Fisher and the grade 8s performed skits for students to understand the meaning of honesty. Great job grade 8s! 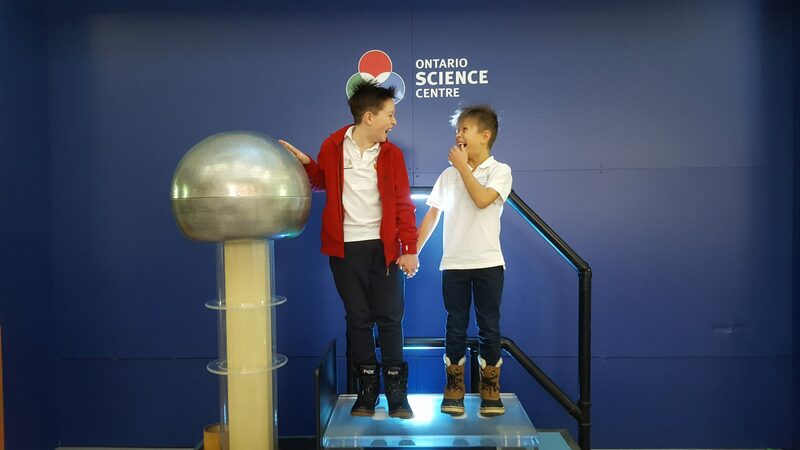 On Wednesday, January 30th, students in grades 3 to 8 went to the Ontario Science Centre. 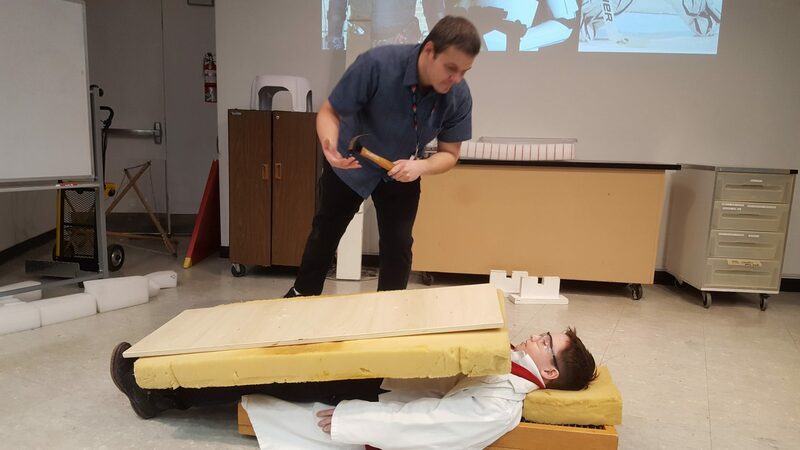 Students learned about physics and got to explore the science centre. Everyone had a fun time. Canada has the highest rate of multiple sclerosis (MS) in the world, with an estimated 100 000 Canadians living with this disease. It is often diagnosed in young adults aged 15 – 40. 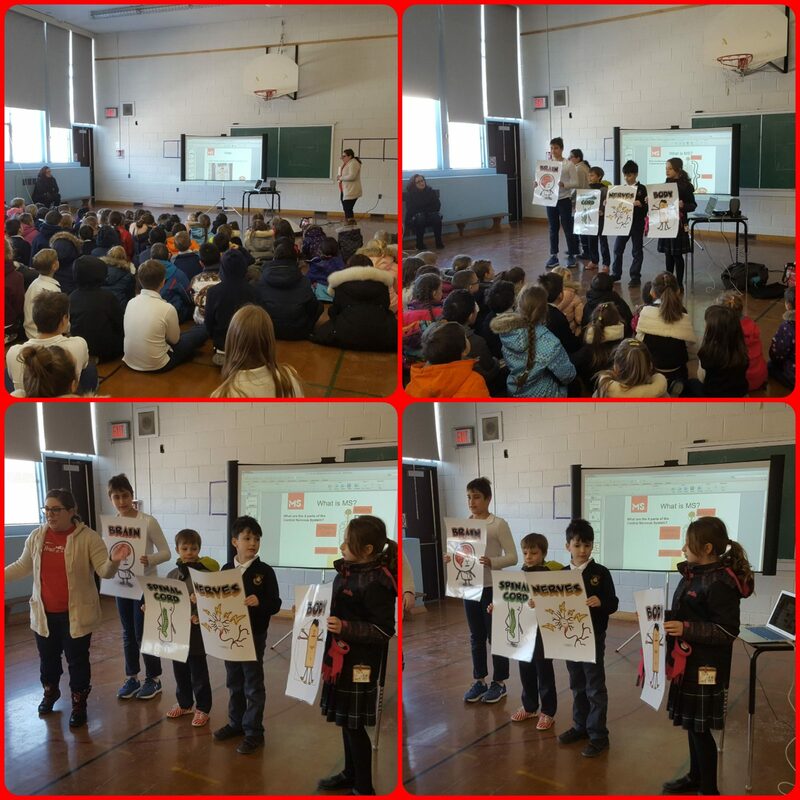 On Friday, February 1st, Bonnie from the MS Society of Canada kicked off this year’s MS Read-A-Thon fundraiser with an informative assembly. This year’s fundraising goal is $1200. There will be two ways we will be raising money to reach our goal. 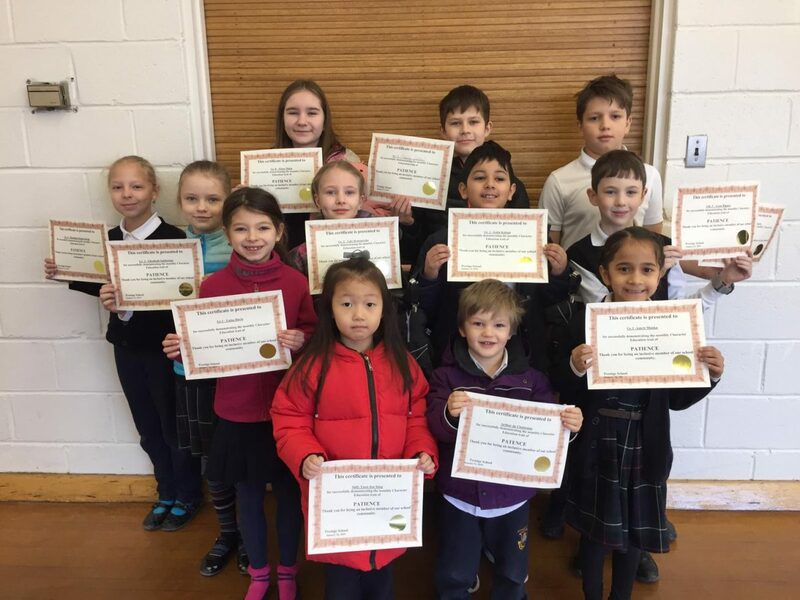 1) Read-A-Thon pledge forms: Students collect money from family and friends. The class with the most pledges will win a Domino’s pizza party! Pledge forms are due 22nd. Donations can also be given online. An email will be sent out regarding the link. 2) 22nd: Crazy Hair Day – $2. Students can design their hair creatively and come to school. The student with the craziest hair will win a prize. Let’s work together to meet our goal and make this the best year in MS fundraising!